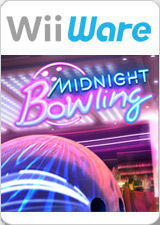 Plunge directly into the trendy and electric atmosphere of Midnight Bowling! With awesome playing sensations, prepare for ultra-fun gaming thanks to a new physics engine that lets you control your throws precisely and easily with your Wii Remote and make spectacular spins that will impress your opponents! Face up to 3 friends in the fun Party mode where your playing abilities will be put to the test! Whatever your level, launch yourself into the immersive career mode where you will play in the trendiest bowling spots of the planet against charismatic characters that will give you a run for your money! The game is part of Gameloft's Midnight series which also includes Midnight Pool. External Frame Buffer (XFB) must be enabled to avoid this title's graphics flickering. Fixed with Hybrid XFB in 5.0-5874. The graph below charts the compatibility with Midnight Bowling since Dolphin's 2.0 release, listing revisions only where a compatibility change occurred. This page was last edited on 13 January 2018, at 12:30.